The issues associated with supply chain visibility can be daunting. Supply chain visibility may have, up until now, seemed like a “good to have” ability in the shipping and distribution of pharmaceutical products. For pharmaceutical manufacturers, managing supply chains is critical to success. Within supply chain management, visibility is a top competitive priority, increasing in importance each year. Yet the GEODIS 2017 Supply Chain Worldwide survey recently found that only six percent of companies from a variety of industries have achieved supply chain visibility despite its growing indispensability. Supply chain visibility offers opportunities to increase margins and revenue by enabling companies to improve operational efficiency and manage risks ranging from natural disasters and weather to traffic, all of which can impact on-time delivery and jeopardize the safety of temperature-controlled shipments. Failure to enhance supply chain visibility can cost manufacturers—particularly as big retailers start to penalize shippers for failure to deliver on time. In the pharmaceutical industry, greater clarity in the supply chain, especially in cold-chain shipping, provides improved control over the safety and quality of medications shipped, and greater capabilities in forecasting issues that may compromise brand reputation. Supply chain visibility can help address common supply chain challenges, blind spots and visibility solutions that will enhance quality and efficiency. Integrating cold-chain management systems can reduce overall costs, grow sustainability and improve regulatory compliance all at the same time. The practical tips that follow will help managers to assess their level of integration and learn where to start their journeys to developing a stronger cold chain. Pharmaceutical and medical packaging professionals can see the latest supply chain visibility solutions at Healthcare Packaging EXPO, co-located with PACK EXPO International, (Oct. 14-17, 2018; McCormick Place, Chicago). A drug can take a variety of paths from the manufacturer to the patient. In most cases, the product leaves the manufacturer’s direct control and enters a complex system of handoffs. Compounding this complexity is the fact that many drugs are temperature-sensitive products and require special handling based on conditions clearly indicated on the labeling. 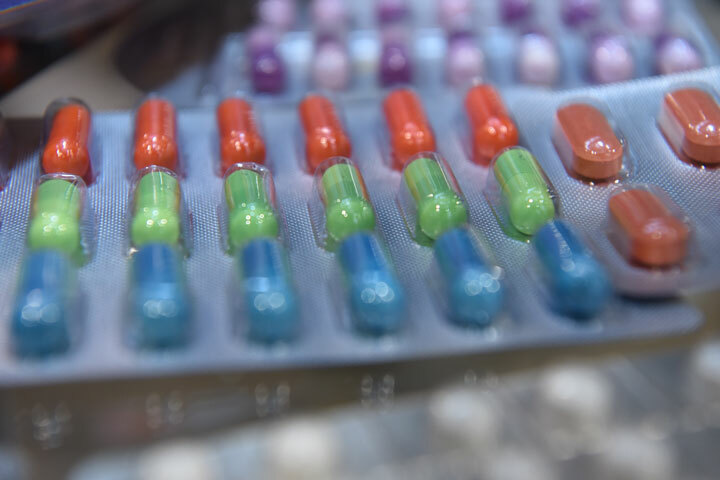 Many pharmaceutical products must not slip out of a prescribed temperature range if they are to retain their effectiveness or remain safe for patients. If a shipment’s temperature exceeds or dips below the allowable range, it may end up being discarded as expensive waste. Waste during transport is not the only concern for manufacturers of pharmaceutical products; competitive pressures are also enormous. Environmentally sensitive biopharmaceutical products generate more than $100 billion in economic activity per year, and manufacturers of proprietary products are driven by the highly competitive nature of the market to get product to customers and patients as quickly as possible to maximize their patent exclusivity window. At the same time, manufacturers of generics aim to keep costs to a minimum. Both kinds of manufacturers must maintain the highest level of quality in the drugs in their distribution networks. The cost of distributing product in pharmaceutical logistics networks is huge. The 2014 Pharmaceutical Commerce Biopharma Cold Chain Sourcebook produced by Pharmaceutical Commerce magazine estimates that more than $64 billion was spent overall in pharmaceutical logistics in 2014, with some $8.4 billion in controlled-environment logistics alone. The specialized logistics for maintaining the quality of drugs as they are shipped around the world accounts for more than 10 percent of all biopharmaceutical logistics spending. Supply chain visibility requires that products retain designated codes throughout the full process of delivery and distribution, until they reach the sale floor. Coding and scanning start at the plant level. From here equipment applies and reads the codes to relay information up to enterprise resource planning systems (ERPs). From that point, the information travels to the warehouse management systems where product distribution is handled, and where robust SOPs guide the activities of drivers and dock personnel. By the time the product reaches the consumer, one should be able to trace the origins of the ingredients, the processing and packaging location(s) and the full distribution-chain history of the product. When all of this information is aggregated and easy to reference, a manufacturer has achieved supply chain visibility. Process qualification pitfalls are perhaps the most common issues in the supply chain and can be addressed through increased visibility, providing the needed checks and information to prevent mistakes. For example, what if a temperature-controlled box carrying vaccine goes from a refrigerated truck to another refrigerated truck, but for the several hours it takes to load from one to the other, it sits on a hot loading dock—even though a cold room is available at the warehouse? Or, conversely, what if a helpful loading dock worker takes a temperature controlled box with its own coolant and places it in a refrigerated room, essentially freezing the drug and rendering it ineffective? This disconnect between packaging and dock operations is potentially very costly, but it can be avoided in several ways. For example, temperature-monitoring packaging can indicate to shippers, pharmacists, hospital workers or patients whether the product has been outside of its designated temperature range. The development of strong SOPs can also ensure that loading/unloading procedures are performed to minimize loss and ensure that employees understand the reasoning behind procedures. SOPs should also include instructions on temperature monitors, where to place them in the package and how and when to precondition them for most effective use. Visibility enables tracking and tracing of products, which pharmaceutical companies need to be able to provide to comply with laws and regulations, not only in the U.S. but also globally. But, in many cases, there is also consumer demand for transparency, especially in some markets where there is a significant risk for counterfeit products. A consumer in one market wants to confirm a product’s authenticity and won’t accept the shipment if that can’t be facilitated. To meet that challenge, there is a growing industry movement to provide warranties for high-risk products. In some cases, this can be provided by accessing visibility through dedicated smartphone apps, and in other cases, the transparency of shipment histories are accessible by scanning a QR code through the consumer’s smartphone. Pharmaceutical manufacturers must always be vigilant in minimizing the risk of tampered with or adulterated product reaching consumers. Tamper-evident packaging, holograms and technology that allows any user on the supply chain to trace the origins and history of the product’s ingredients are all solutions to combating a potential crisis. Additionally, manufacturers may also add a special component allowing tracking of specific ingredients unique to that formulation. These compounds are called taggents, short for tag agents that work in concert with the packaging, directly linking that information to the cloud for easy access. What tools do manufacturers use to enable visibility? With the smartphone as the interface tool of choice, QR codes, barcodes, RFID labels are all being used by brands to allow drivers, inspectors, quality-control agents, pharmacists and consumers the ability to access supply chain data. The real innovation is not the interface, but in how information - all ingredient, location and temperature data - is managed in the cloud, where it is available for partners and customers to see. This is the beginning. Now that we are able to collect and access big data, we must learn to analyze and share it. One company that’s doing this well is Optel Vision, which offers a mix of hardware and software to manage information and push it to ERP and the cloud—relying on preconfigured modules that allow pre-existing pharmaceutical packaging to meet compliance quickly, as well as track and trace solutions that meet current serialization legislation requirements. The issues associated with supply chain visibility can be daunting. Supply chain visibility may have, up until now, seemed like a “good to have” ability in the shipping and distribution of pharmaceutical products. Going forward however, under the current regulatory climate and in the current market it has swiftly turned into a “need to have.” Attendees at Healthcare Packaging EXPO will have the change to explore state-of-the-art packaging technologies up close and in person. To register, visit https://www.hcpechicago.com/.